When danger confronts a wild dog, the wild dog runs away. It’s not tied to the home because in its heart, it doesn’t have one; it’s tied solely to its own self-interests. When danger confronts a watch dog, the watch dog doubles down, as if its life depends upon protecting the home, because it does. It has no other home, no other place to go to. The watch dog’s self-interests are tied to the home, and it will fight or die. In your heart, in regards to your family and marriage, which kind of dog are you? We so value our independence that it’s easy to slip into the heart of a “wild dog” even while living the life of a watch dog. It’s possible to have a home but not treat it as a home. Some people can treat their marriage and family as a hindrance, or shackles, even a prison. They secretly want to get out, but are too ashamed to admit it, so they sleep in a home, but their heart roams far and wide. Some “wild dogs” have confessed to me that they have prayed for years that their spouse would have an affair so that they would be free to leave. A watch dog senses danger and flies into action. He/she doesn’t play with danger, doesn’t welcome danger, is singularly focused on scaring away the danger as soon as it’s seen, and if the danger doesn’t leave, he/she will fight it. The heart of a watch dog is tied to its home. When you see distance coming in your marriage, do you call it out and fight it, or do you seek to find enjoyment and amusement outside the marriage? If you do the latter, you’re a wild dog. When you feel tired or discouraged, do your fantasies roam to another life, dreaming of being married to another person in another house? If so, your heart is that of a wild dog. When anything threatens your marriage—another affection, another relationship, a busy schedule, a job, you name it—do you stand up and fight, do you say, “This can’t last,” even if you know those words will launch a battle? If so, you have the heart of a watch dog. Where is your heart? Do you long to be free, but are too ashamed to leave? You must be miserable indeed. You have the constrictions of a watch dog, but the heart of a wild dog, and that’s as frustrating a life as anyone can live. The answer can’t be, if you’re a Christian, to become a wild dog in fact; it’s to humbly repent and seek the heart of a watch dog, someone who is newly refocused on and reinvested in their home. There is no satisfaction in someone who is living a watch dog life with a wild dog heart. You can’t be satisfied, as the satisfaction you seek—being free from your home—by definition requires the destruction of your home. No true watch dog could take joy in that outcome. You need a change of heart. My wife and I recently heard yet another story about a man who had a middle-aged affair, fathered a daughter outside of wedlock, but eventually stayed with his wife. The mistress never got remarried and the father of her child actually loved his wife heroically through a later life medical situation. Why do I tell that story? A watch dog got to “taste” the wild dog life, but then found it so wanting he returned to the watch dog life, even when it was less pleasant and more demanding. When you’re a watch dog dreaming of the wild dog life, you romanticize it. You idealize it. You see the pleasure, but not the pain. You see the freedom, but not the loneliness and alienation. You see the opportunities, but not the isolation. If you are living a watch dog life, ask God for a new watch dog heart. Fight for your marriage. Fight for your home. Be fully, 100% invested in it. Make it so dear to your soul that you wouldn’t leave your home if it was surrounded by the entire Russian military. If you have a wild dog heart, I guarantee you that your marriage will crumble. There are so many threats to a marriage nowadays—spiritually, relationally, sexually, financially, time-wise—that if we don’t fight to the death, the marriage will in fact die. Very, very few couples have the luxury of having a “take it or leave it” attitude toward their marriage. And who would want to be in a marriage like that, anyway? No, the only path to true satisfaction if you’re living a watch dog life is to cultivate a watch dog’s heart. Start fighting, and keep fighting. Refuse any thought of any other solution than victory. The heart follows commitment. Confront issues as they arise. A watch dog doesn’t just try. A watch dog starts and never stops. He or she is too busy saving the home to even contemplate leaving it. Every second spent in contemplation of a different life is a second lost in improving your real life. Never, ever believe the world’s lie that the watch dog lives a “small” life. It is much larger than the wild dog’s life, by far. If a man or woman ferociously fights for his or her marriage and each of their children, if he or she wages war against their own sin that seeks to destroy not just their own souls, but that of their home, they are fighting a cosmic battle over something that truly matters. It is a focused battle, but not a small or meaningless one. What does the wild dog fight for? His or her own pleasure, happiness, and security. If you think you can be satisfied living for yourself, giving your entire life for the good of yourself, you haven’t contemplated either your own mortality (when your battle will surely and ultimately end) or the emptiness, indeed, the impossibility, of finding satisfaction in a self-centered life. God has called us to be watch dogs in fact, so let’s be watch dogs in heart as well. I want to add a quick word for the singles out there—it’s certainly possible to have a “watch dog” heart when you live a single life. There is much fulfillment to be found if God has called you to the single life when you have a watch dog heart for your church and God’s mission and those friends with whom God has called you to be in community. This is a blog focused on marriage and family life, but in respecting that I’m not in any way undercutting your call in life or suggesting that the single life is a lesser life. I’m just trying to encourage those God has called into marriage and family life to be obediently and faithfully invested in that life. I like that you included a story about someone who went from wild dog to watch dog. Maybe it is because I experienced a marriage that failed in so many ways that in my remarriage I am quick to double down and protect the integrity of our relationship. I can “sniff”out the signs of danger a million miles away (because they are all too familiar) and I am doing my part through thought, prayer, and action to “walk the perimeter of my home” in order that we keep it protected from unwanted company….and I know my husband is doing the same. I also know I can come to him with my concerns and ask him to pray for me. I love that so much…I can just see borders and hedges being built around us when we pray! Such a practical analogy Gary! Great stuff. LOVE the “walk the perimeter” analogy Skye! Thank you for painting this picture today. I accept the challenge and will fight, and will keep fighting for I am committed to being the wife God has called me to be. Praying God will make you fierce! This is such an excellent analogy of what we are called to be as spouses and committed believers. I am counseling a couple right now that has been living “the wild dog” life for too long. 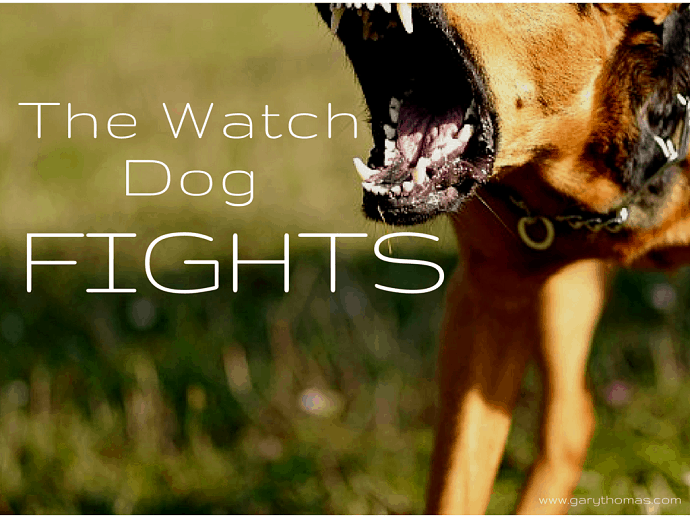 The pain that life has brought is driving them toward a “watch dog” life quickly. I am going to use this analogy when we meet today! Thank you! Thrilled to see this blog impacting real life counseling. Thanks, Scott, for your good work! Oh my! Did I ever read my former self in this. The life I had with my former husband was exactly this, and yes it did eventually crumble. I would be a watch dog lots of the time, but would so often slip back into the wild dog mode. Then one day after living as a wild dog for too many months the inevitable happened and I stepped out never to return. I will live with that deep wound, and shame the rest of my life. I am married again, and am a watch dog all the way. As painful as it is to read your blog and others such as Lori Alexander’s I feel I must. It is a matter of understanding completely the error of my ways. I never want to make those mistakes again. I am continuing to look for ways that God will use my experience to help others before it’s too late. As I stated I will live with the deep sense of regret and sorrow for the rest of my life. It’s not easy to admit this, but I feel I must for so many that I harmed. My present husband is a good man that is willing to look at his own failures, and we are both growing in the Lord. We cannot go back and undo the past. We are so eternally grateful that we have a loving and forgiving God that has given us a second chance to do marriage right. We will never know how things could have turned out with our former spouses. I can honestly say that I pray for my former spouse most every day. Some day soon I will find the courage to write a letter to him expressing my deep sorrow for being a “wild dog” for much of the 28 years we were together. I can only hope he will find it in his heart to forgive me some day. Not for me, but for himself. I don’t want him to live with the troubling feelings he has towards me. He deserves better. It has been close to 9 yrs ago that I walked out and never went back. He fought to get me back, but I would have nothing of it. I have not spoken one word to him since the morning he left for work with no idea that I would not be there when he returned. Even though we had plenty of troubles through all of the years of raising 4 children we had never even separated. Even though I was barely 18, pregnant, and had only known him for 4 months when we married I cannot use that as an excuse for my continued sinfulness through the marriage. It was such a roller coaster ride of ups and downs, but I found ways to escape as a wild dog. This depiction of the wild dog, fits what I lived like to a tee. Not to say I wasn’t a watch dog much of the time also. I viewed myself as a good Christian woman. The times that were best was when I was the watch dog. Gong to counseling, praying, and focused on my family and husband. Doing so many of the exterior things right, but my heart was not right with God. I expected my happiness to come from my husband, children, and or others when it should have only been God that I was seeking happiness from. 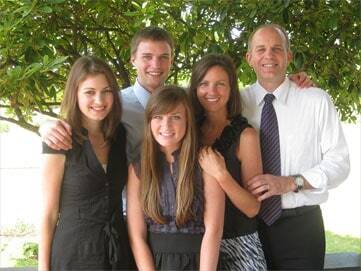 I wish I had, had people like Gary and Lori that were ministering to me. I would like to believe I would have paid heed. I will never know. I threw so much away that I just didn’t have the appreciation that I should have had for it. It took being in that wild dog phase for just long enough, certain happenings that came my way, and that was it. I stepped over the line. My warning to others is to not mess with it. Don’t believe you can have it both ways. I share these things sometimes in hopes that maybe someone will read them, see themselves and realize it’s not going to be worth it. I don’t deserve the life I have now with my husband. We have definitely had our trials. I can’t thank God enough for continuing to bless us as He does. I have spent much time in repentance over my previous sins. God has shown me what a merciful, and loving God he is. The scars will always be there for me and those I hurt along the way. I have rambled, but I hope God will bless someone, anyone with my ramblings. Thank you Gary for your ministry. Thanks for sharing your story–as painful as it is to read, it’s a further warning for others who are tempted to follow the path of the “wild dog.” You seem sincerely repentant and I pray God will richly bless you and your husband as you move forward in healing and grace. This Easter season, may God grant you the joy of acceptance and forgiveness as you realize Jesus paid for your sins and the debt they incurred is cancelled. I know you know that, but I also hope in time you will also FEEL that. God bless. Awesome!! Flesh and blood did not reveal this to you. Thank you for this rich word and new perspective. Thank you. Praise to God for this! Wow, Gary…what an incredible perspective! I’ve never thought of life and marriage that way but I can clearly see the truth in your words. Thank you for allowing the LORD to use you in such a mighty way. Thank you for challenging us to be all that God has called us to be. it’s my joy, Jeanne! Thanks for the kind words.